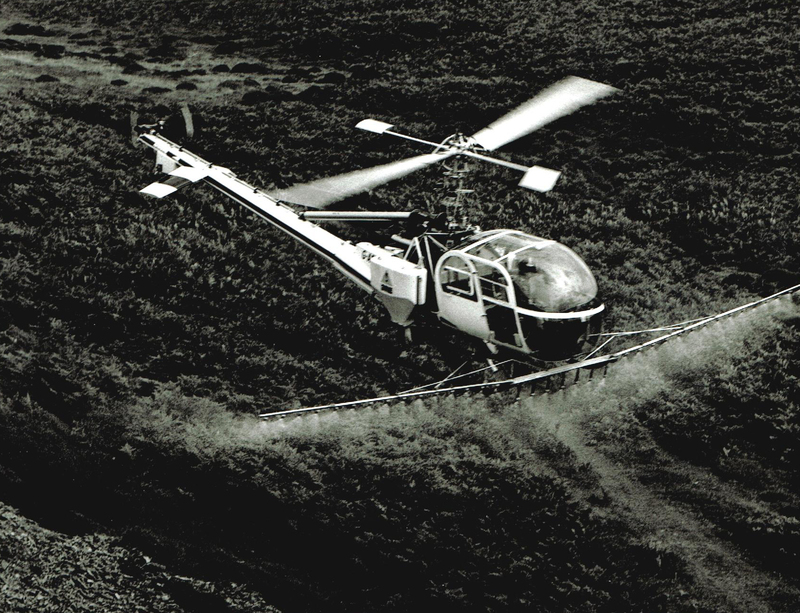 Between the early 1970s and mid 1980s there were 40 – 50 aerial spraying operators involved in the spraying of fungicides, insecticides and herbicides onto arable crops, the season extending from late spring to early winter. Later, application of slug pellets, granular herbicides and fertiliser was also undertaken. 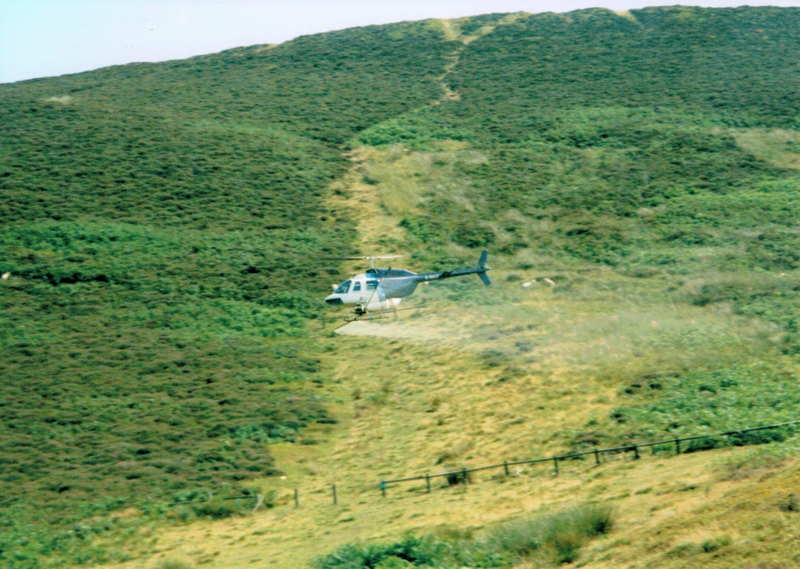 At first, aerial bracken spraying was really only a small addendum to most aerial operators’ repertoire of activities, undertaken because apart from some potato blight spray work, there was little or no arable work on offer during July/August (which happens to be the best time for effective bracken spraying). 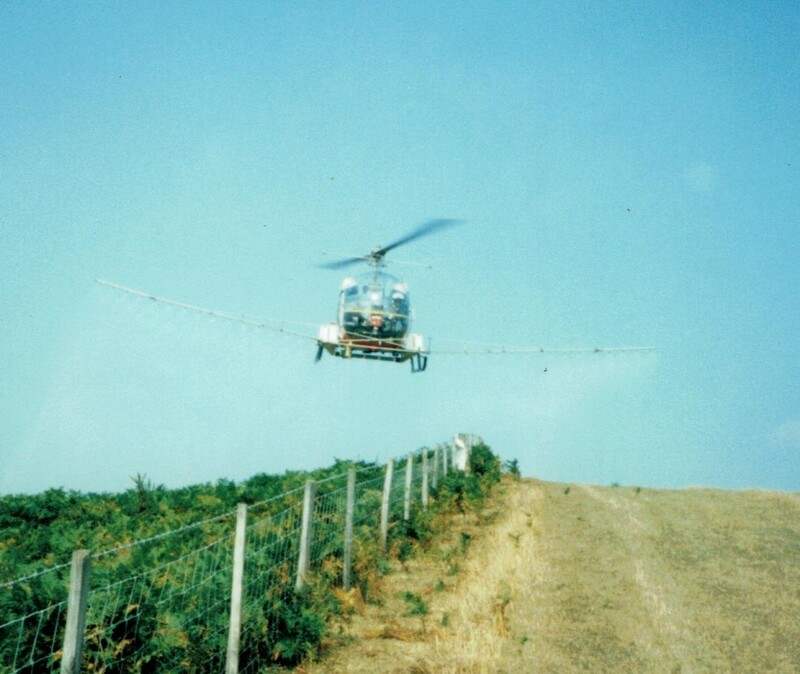 This was reflected throughout the industry in a lack of consistency in the efficacy of the spraying – very little was known at this time about bracken spraying. 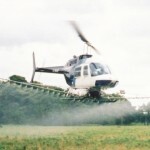 However, following a backlash of public opinion (late 1970s/1980), resulting from a few highly publicised spray drift incidents, ‘the writing was on the wall’ as far as arable aerial spraying was concerned. These incidents had resulted from the negligence and appalling operational procedures of the rogue or "cowboy" element within our industry. Note:- The ground spraying industry was not exactly blameless in this area either; anecdotal evidence would seem to indicate that ground spraying could have been responsible for at least as many bee deaths (if not more) as the aerial spraying industry, (but of course ground spraying does not have the same high profile as far as the general public are concerned). The inevitable regulatory pressure that followed, combined with the far from environment friendly chemicals that were being used at that time for arable work and the reduction in work offered due to developments in ground spraying equipment, led us to concentrate on building a greater customer work base in the familiar and well-known territory of the Welsh and border County upland regions. This forms the mainstay of our work (apart from occasional requests to carry out bracken spraying in East Anglia, and the West Country). This Welsh and Border County work took two separate, but to some extent related, paths. One of these being development of an aerial application service of at first fertiliser, and then a year or two later, lime, to areas of improved mountain pasture that were not safely feasible for ground equipment. 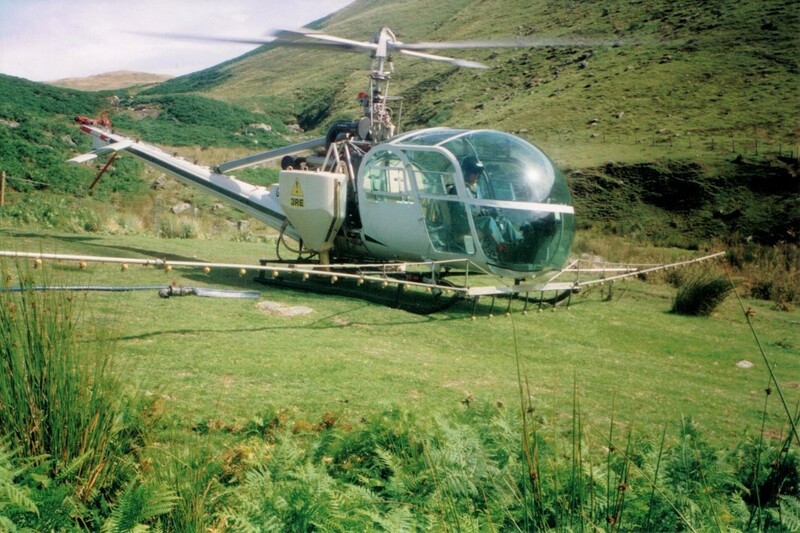 The other one being the aerial application of Asulox (a much more environment friendly chemical) spray to bracken covered terrain that was subject to similar ground equipment safety issues. 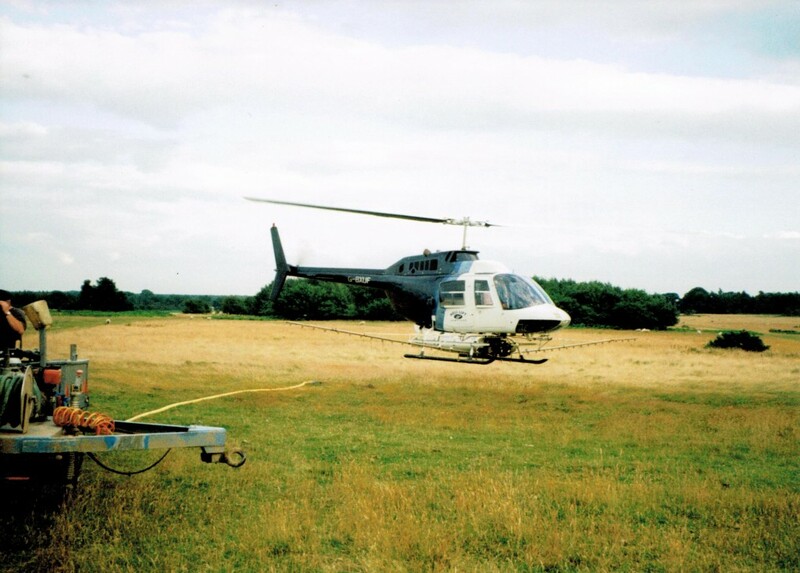 For the first few years of bracken control work, we continued deploying the ubiquitous Bell 47 helicopter which we were using for our arable work (work which was very much in vogue at that time) albeit with a spray system that we had specifically set up for bracken spraying. 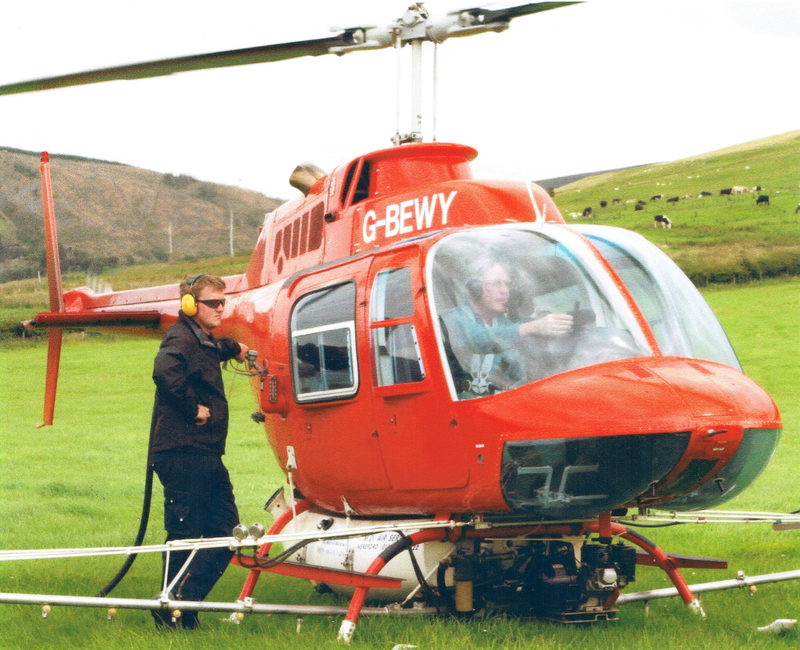 As the years progressed and our bracken work increased a more powerful helicopter was required. 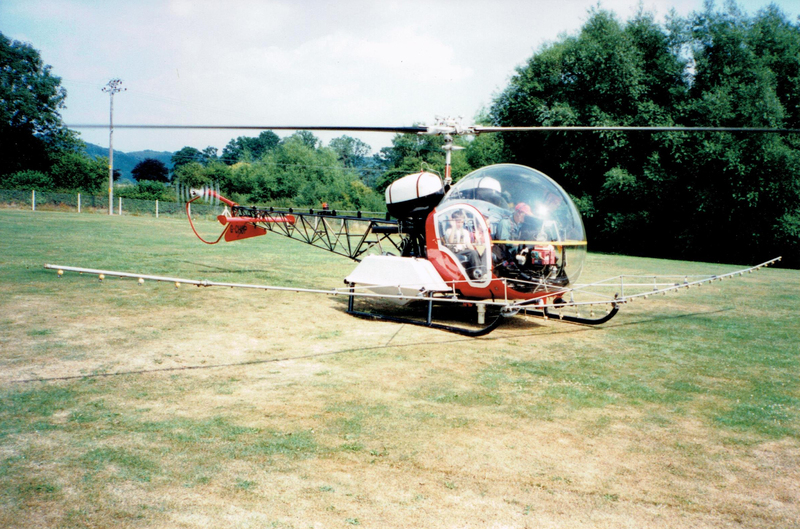 The most suitable helicopter of the day was the Hiller 12E. Although still only powered by a piston engine (a more powerful version of the Bell 47 engine) its increased pay load made for a much greater daily work rate; further, it too, had the benefit of having a long bladed, low revolution main rotor system. 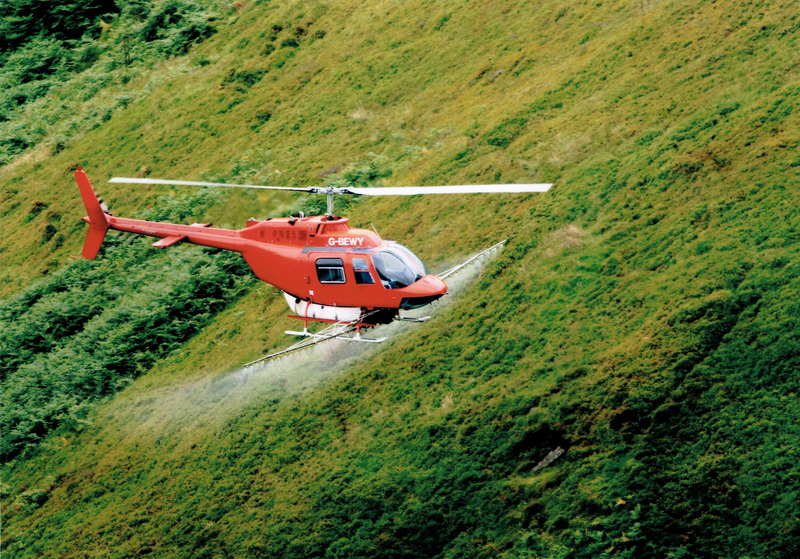 This characteristic is needed on a spraying helicopter in order to cause minimum spray droplet pattern disruption. By the beginning of the new millennium it was becoming clear that the weather pattern was changing, and the July/August (bracken spraying) period was more prone to poor weather. 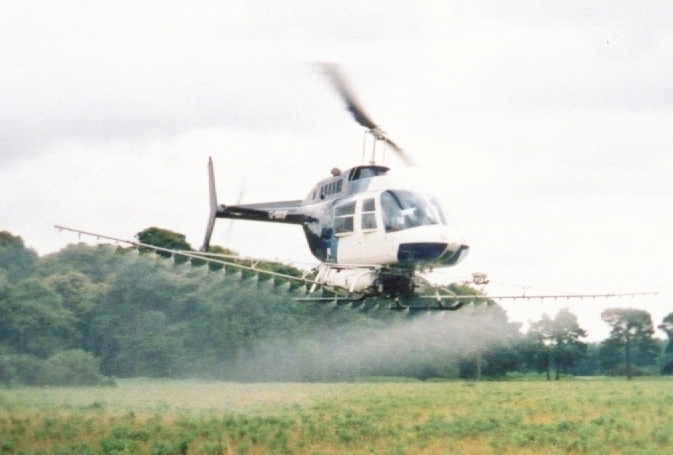 We clearly needed an even more powerful helicopter, one whose greater payload would increase the daily work rate to a level which would allow us to make maximum use of the (fewer) suitable spraying days and thus meet our customers’ bracken acreage requirements within what is a quite limited time scale. The decision was taken to make the quantum leap to deploy a jet turbine powered helicopter. Again we were looking for a machine with a long bladed and low revolution main rotor system; the Bell Jet Ranger helicopter met the requirement perfectly. Although much more costly to operate, the vastly greater work rate more or less compensated for this, but more importantly has allowed us to fully complete our bracken control programmes in most years since then. And this is the Jet Ranger currently being deployed.